IORE, through its staff, facilities and affiliations, is committed to discovering solutions to Orthopedic problems, working primarily with our highly-trained medical colleagues. I am proud to assist in providing a venue to develop our students, trainees, and faculty into leaders in orthopedic knowledge and practice. Through this commitment, we strive to serve the orthopedic community and advance the diagnosis and treatment of musculo-skeletal disease and injury. 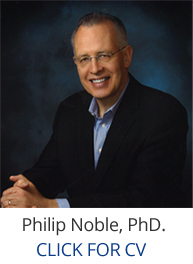 IORE’s Director of Research, Philip C. Noble, Ph.D., brings 34 years of experience in biomechanical research to the team. Dr. Noble’s mission is to develop research programs involving surgeons, trainees and medical students that enhance the practice of Orthopedic Surgery. These collaborations have expanded the interactions between surgeons practicing in Houston and their colleagues in other parts of the United States and the world community. They have also resulted in research fellowships of typically 6-12 months duration within IORE’s laboratories. Dr. Noble has mentored over 150 students, residents, fellows, and faculty during his 27 years in The Joseph Barnhart Department of Orthopedic Surgery.